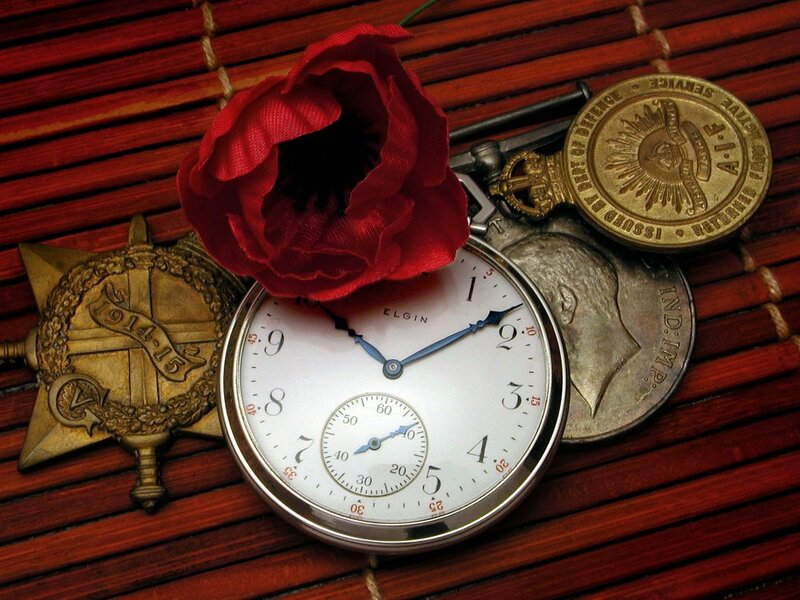 I note various commemorations have started marking 100 years since the commencement of the First World War. Of course the Great War will be remembered variously by different people, and different nationalities. 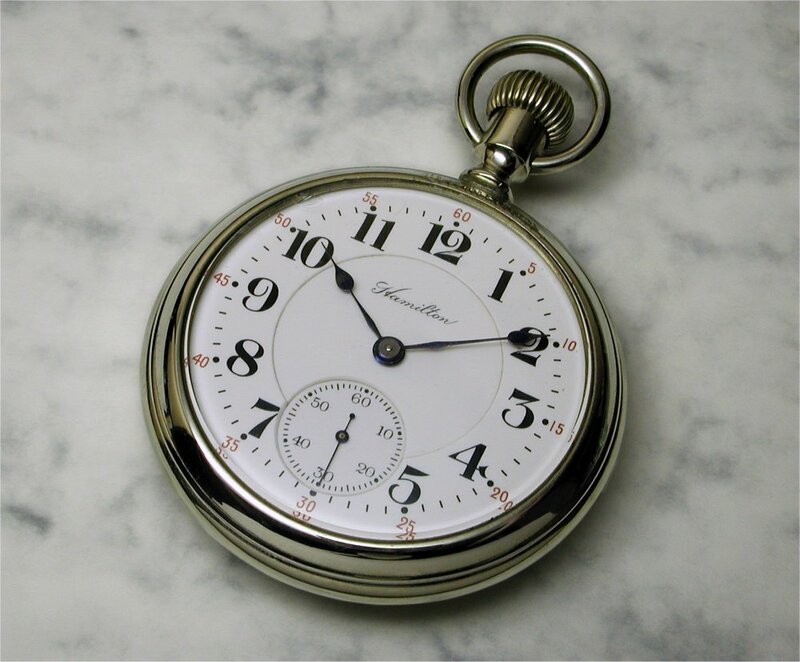 Here we can acknowledge it with timepieces that were made during the period 1914 to 1918 - pocket watches, wristwatches (including early conversions), clocks, timers, or what have you. Please show any you have that fit the bill. This Hampden Wm. 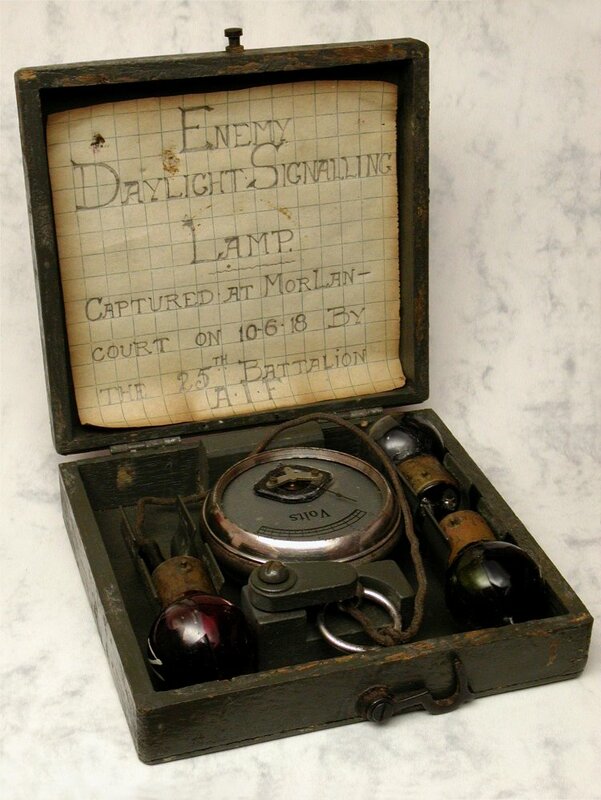 McKinley 5th Model was produced in 1916, prior to the US entering the war, but within the overall war period. 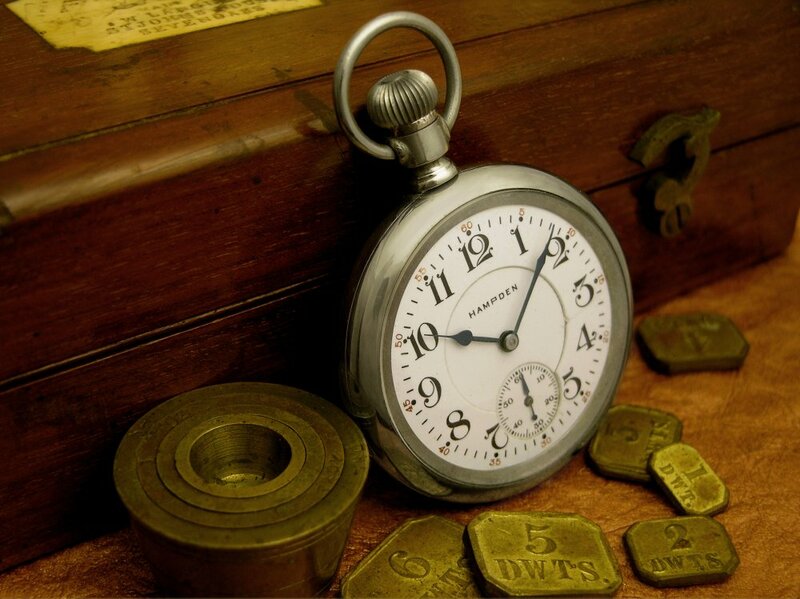 And, one from the last year of the war, a 1918 Elgin Grade 345 pictured with some of my Grandfather's medals. 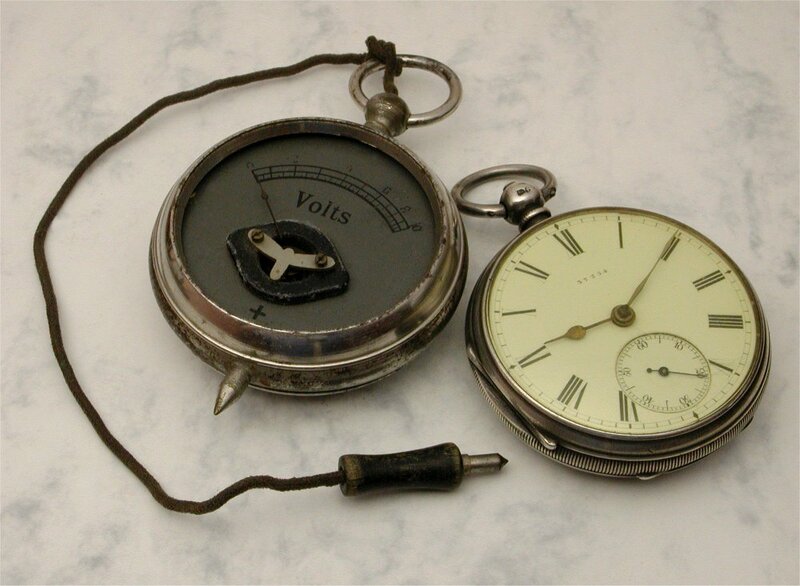 And, just out of interest and somewhat related, although this English lever fusee watch dates from 1874 it was bought home from WWI service by my Grandfather, along with some war booty including the German signalling lamp test kit pictured below with the watch.